Washington: Federal prosecutors say confidential material from the Russia investigation was altered and released online as part of a disinformation campaign to discredit special counsel Robert Mueller’s probe, according to a court filing on Wednesday. 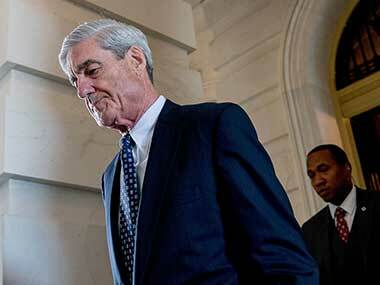 The material had been handed over to defence attorneys for Concord Management and Consulting LLC, a Russian company that Mueller has charged with financing efforts to meddle in the 2016 US presidential election. Concord is controlled by Yevgeny Prigozhin, a wealthy businessman known as “Putin’s chef” for his ties to Russian president Vladimir Putin. He has been hit with US sanctions over Russian interference in the 2016 election and is charged alongside his company in the indictment brought by Mueller. Prosecutors say the vast majority of the files released by the Twitter account were actually “junk material that has nothing to do with the case,” and were included along with real files from the investigation in an attempt to discredit it. An FBI analysis of the files found that only about 1,000 of the 300,000 released were real documents provided to Concord by Mueller’s team. The Mueller documents were largely “images of political memes from Facebook and other social media” that were posted during the 2016 election by the Internet Research Agency, a Russian social media troll farm. Concord has been accused of funding IRA. Prosecutors say that whoever created the webpage had access to at least some of the material provided by Mueller in the case. They also say the FBI determined the documents were not stolen from government servers. Eric Dubelier, a lawyer for Concord, did not immediately return a phone message seeking comment.